Place In Deep Purple Story: Deep Purple Mk 3 played their last UK show here. They'd scheduled the show as part of the 1974 British tour, but had to cancel due to equipment problems. So the gig was replayed on June 27th 1974 (before the group went back down to Clearwell to begin work on the second album) - and is now best known for the pictures of a stripper who turned up to dance on stage during the set! 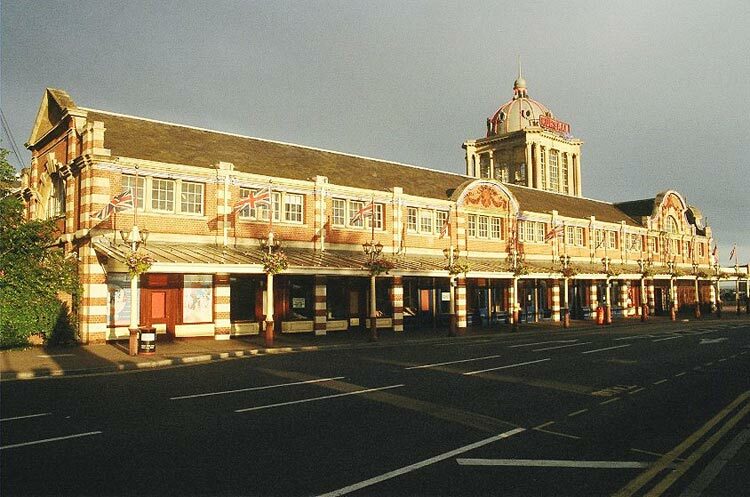 History: The Kursaal was originally a ballroom and opened in 1901. It expanded into an amusement complex in the 1930's but continued to host live entertainment on the stage through to the end of the seventies. Being someway off the beaten track for gigs, this side became less profitable and the Kursaal closed in 1986, with much of the surrounding site already sold for building. 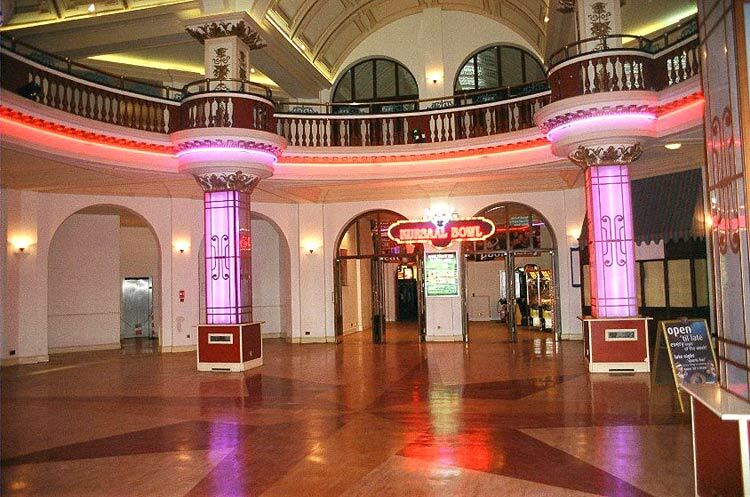 However local interest ensured that it wasn't demolished and the Kursaal reopened again in May of 1998 as a ten-pin bowling venue (replacing a bowling alley at the end of the nearby pier which burnt down in 1995). Amendment 14/09/06. The last live gig at the Kursaal ballroom was Thin Lizzy in December 1977. 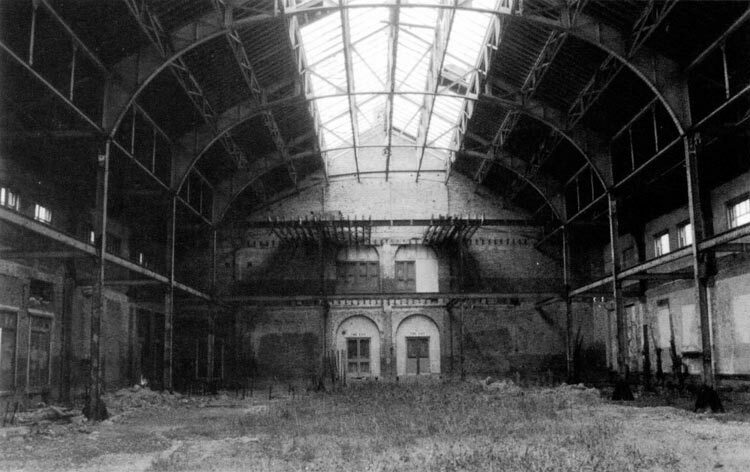 The ballroom was just one part of the whole complex (the idea of the Kursaal - Cure House - was used in Germany for a health and relaxation centre and is similar to the spas popular in Britain). 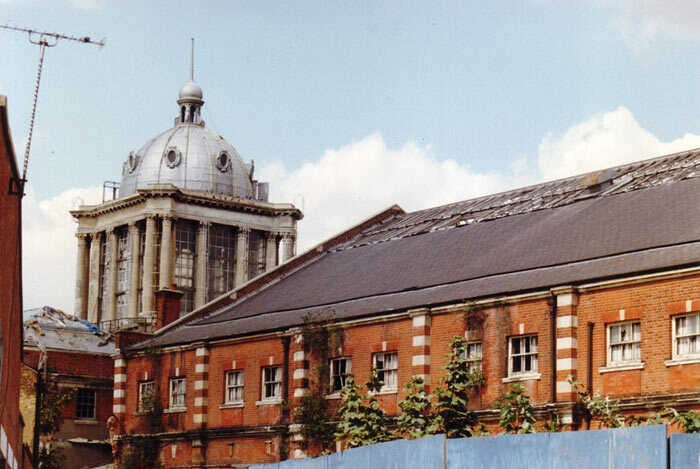 The complex closed in 1986 and was sold to build an estate. As part of this development plan, the facade, dome and supporting walls were retained but everything beyond that is new build. The two lower photographs (taken by Audie Philips) show the ballroom during demolition. The flat end wall is where the stage was. Viewing: The exterior can be viewed from the street and you can walk into the foyer. If you want to look inside you'll need to go bowling! Some of the building is still empty but it is planned to add extra bowling lanes. 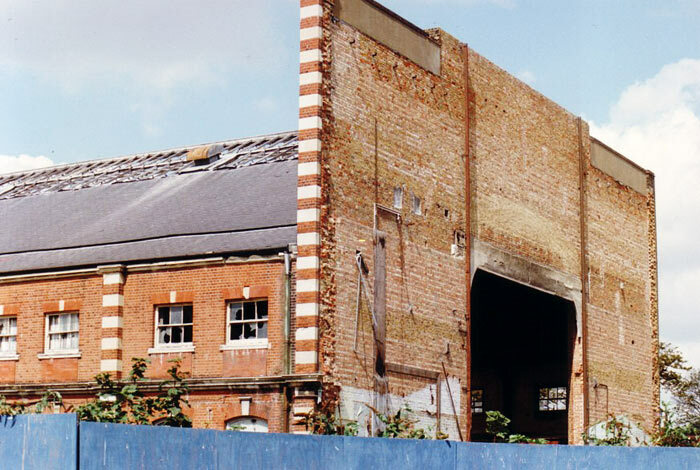 The top picture shows what was originally the cinema, then after that a function suite. The actual ballroom was another part of the same complex. In the picture of the foyer the ballroom would be off to the right, and the other hall (ex-cinema now 10 pin bowling) to the left. Thanks to Audie Philips for the extra information. Location: On the main seafront in Southend.